Although we've learned about all there is to know about the new Jeep Wrangler, there is still more to discover about its upcoming truck sibling, such as the rear suspension. We knew it would be coil-sprung, but these new spy shots also indicate that the suspension is more similar to what's under a Ram 1500 than the Wrangler SUV. 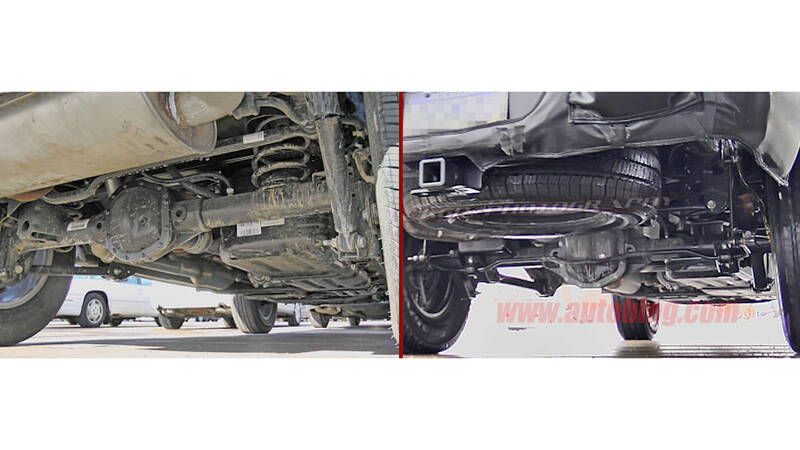 In the gallery above, the first two images compare the rear suspension of a new-generation 2018 Wrangler (left) and the Wrangler pickup (right). 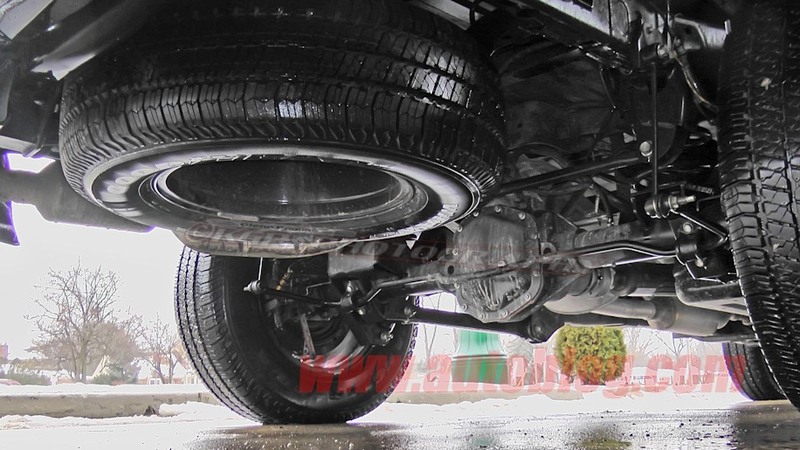 Immediately obvious is that the shocks on the Wrangler SUV are mounted at the back of the axle, while the truck's shocks are mounted at the front. It's also possible to see that the anti-roll bar on the SUV is mounted quite high up, while the truck's bar sits much lower, near the base of the rear axle. The third image shows a Ram 1500 on the left and the Wrangler pickup on the right. Here we can see that the Ram shares the same sort of low-mounted anti-roll bars and forward-mounted shocks, along with a Panhard rod. 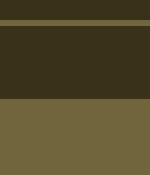 The two aren't quite the same, though. For one thing, the Wrangler pickup's rear axle looks more like the Wrangler SUV's than the one on the Ram. It's possible that these suspension changes were made in an effort to boost the Wrangler truck's payload capabilities. It's also possible that there are some handling quirks to the long truck body style for which a Ram-style suspension was better suited. We'll look forward to learning more about the differences when the truck is revealed, likely in early 2019.